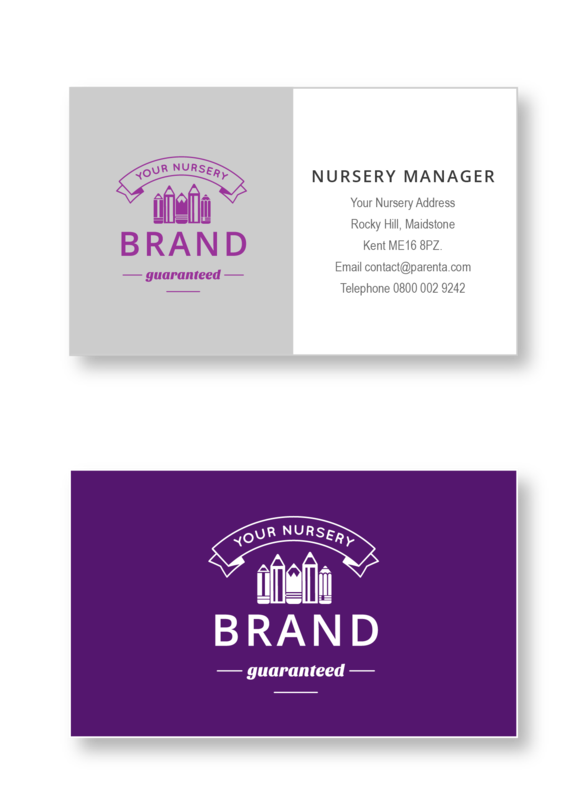 Your childcare setting provides a vital service to the local area, and you can let a parent know this by showcasing your business through your branded products. 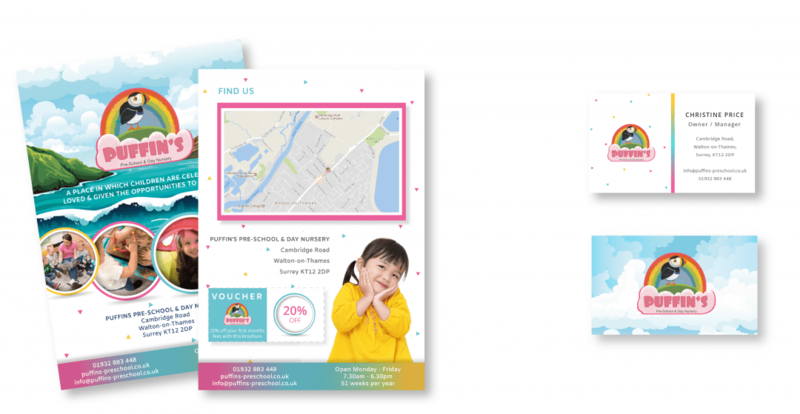 Handing over a well-designed, informative prospectus and professional-looking business cards will leave a positive impression on parents visiting your business for the first time. If you have a clear and consistent logo which is mirrored across all your products, you’ll help make your service more recognisable to parents, too. 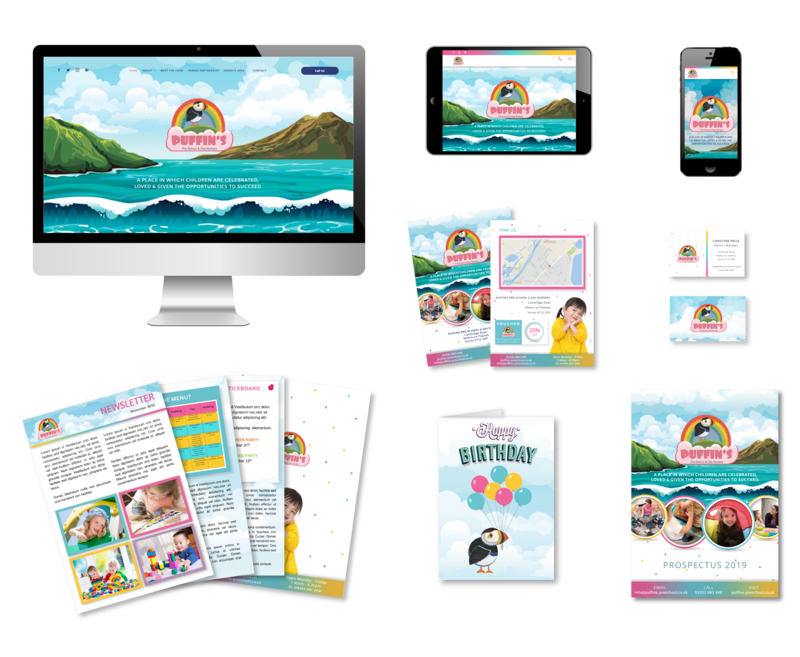 Parenta can offer a one-stop solution for all your branding needs, whether it is a new childcare website, printed prospectus, business cards, newsletters or logos. We’ll ensure that all your products come together to reflect the same design and leave an unforgettable impression on new parents. What is the purpose of a prospectus? A prospectus will give parents an overview of your business and allow you to communicate a meaningful message about your values, goals and beliefs. It offers an ideal opportunity to showcase the service you provide in more depth, as well as getting parents excited about the idea of their child attending your setting. How will having a prospectus benefit you? Following a face-to-face meeting with parents, being able to hand over something tangible like a prospectus will show them how organised and professional your setting is. It also opens up opportunities for discussions on the spot, which doesn’t happen when you send parents away to look at a website. We’ll take all the key information about your setting and transform it into an exciting, professional-looking prospectus which is perfect for parents. You’ll have the opportunity to work closely with our design team to achieve the look you want. What will parents think when they see your literature? How will business cards benefit your business? Your business card provides more than just an email address or phone number to new parents – it will help them form that all-important first impression about what they can expect from your setting. It’s much more professional to pull out a business card with your contact information ready to take away, rather than scrambling round for a pen! How will having a business card benefit you? Having a business card is a tool of convenience – you could meet a potential parent at any time, so ensuring you business card is always carried with you is essential. Just drop a few in your pocket, laptop bag or purse so you can give contact details to a parent quickly and easily! We can provide you with business cards which tie in beautifully with your other branded products. You can choose to have these made with your name alone or have several versions of the same card with the names of other staff, depending on your preferences. What are the benefits of having all your literature look the same? Your brand identity is one of the most important aspects of communicating your setting’s personality to prospective parents. Your brand says a lot about who you are and how you do business, it’s therefore crucial to make sure that you have a set of brand guidelines to work from. 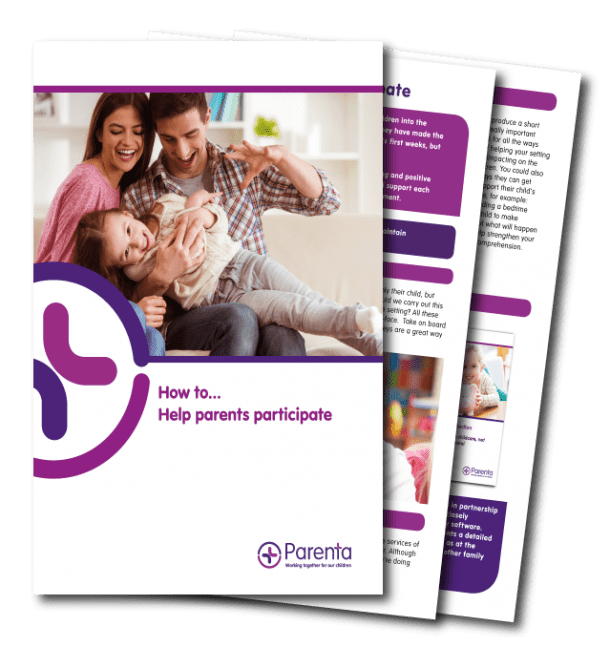 We can help put together brand guidelines for your business to make sure that you’re always communicating a consistent message to parents – whether that be in an email, newsletter or otherwise. This helps give your setting more credibility, as everybody on your team will be working from the same set of standards. If you already have a branded product that you use, such as a brochure, we can recreate your logo and design on new product. Alternatively, we can work together to create a completely new and unique design for your business products if you want to start from a blank slate.